Hiking along the trails in the early morning allows me to see many intricate and delicate spider webs. 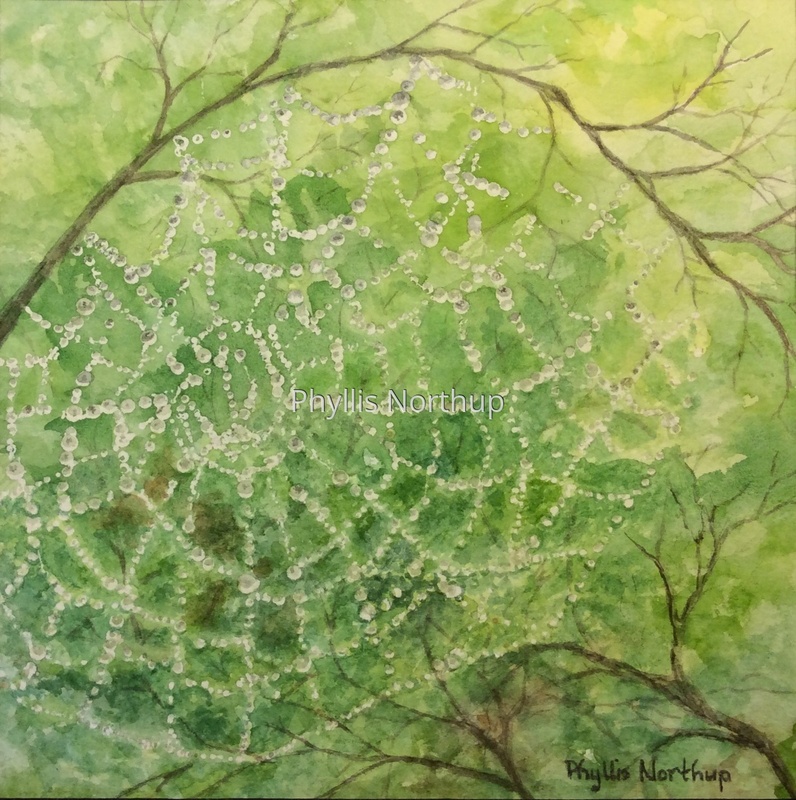 Morning sunlight highlights the dew on the webs, and the filtered light streaming through the multitude of greens of the forest creates a lovely background. Matted and framed to 10x10 and available at Middle Street Gallery through April 21.